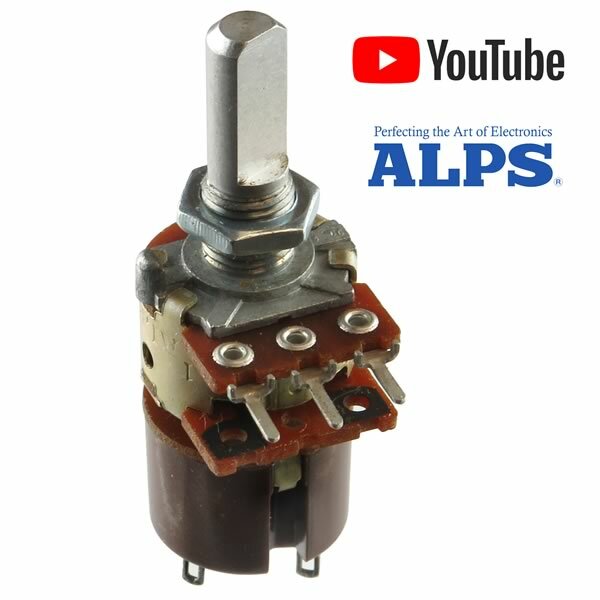 10KΩ linear taper potentiometer with DPST ON-OFF switch rated 30VDC 3Amp that you push or pull on the shaft to operate. Has a nice audible click when the switch is turned ON-OFF. Both load terminals can be energized at the same time and are independent of each other. Size of body is approximately 0.65" wide x 0.76" tall x 1" deep (excluding bushing/shaft and leads). Has a 0.24" diameter x 0.5" long "D-type" metal shaft. Bushing is threaded and is approximately 0.25" long. Has 3 solder eyelet leads for the potentiometer and 4 solder eyelets for the switch. Made by ALPS. Includes panel mounting nut.